Blog Would you like to be a guest blogger? Selwood Equine are looking for guest bloggers from the many followers that they have, to take ‘guest spots’ in their online blog. Why? Because they would like to know more about you all! Introduce yourself and your ponies. Tell Selwood Equine what you love doing. Do you event, show jump, enjoy dressage, represent your school, hack, ride with pony club or enjoy in hand work? Pictures and videos can also be featured. Product review blogs are also a possibility. Product reviewers will be chosen at random by the team at Selwood Equine. Would you like to be one of the chosen few! 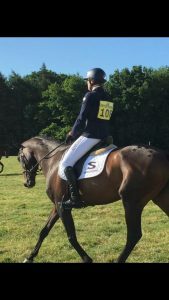 Selwood Equine add to their online blog regularly – you can read more of the posts here. Where are bloggers selected from? Selwood Equine’s Instagram account is currently one of their main social platforms. They encourage you all to follow them if you are users, to keep up to date with offers, competitions, giveaways and more! It is from Instagram followers that Selwood Equine will be selecting guest bloggers. Those selected will be contacted in February and given the opportunity to work directly with the company. Therefore creating a blog for their website and their social platforms. What an opportunity! If you would like to be considered all you need to do is follow on Instagram and share Selwood Equine’s pictures, feeds and stories. Tag Selwood Equine and encourage your friends to follow too. The more the merrier! And then it is a case of crossing your fingers and hoping you are one of the lucky few who will be selected! And it is open to everyone. So get following Selwood Equine now!